When he was younger, George C. Marshall disagreed strongly (in fact, he made a strong rebuke) with his superior, General John J. Pershing and risked his career by doing so—it proved to be a pivotal encounter. 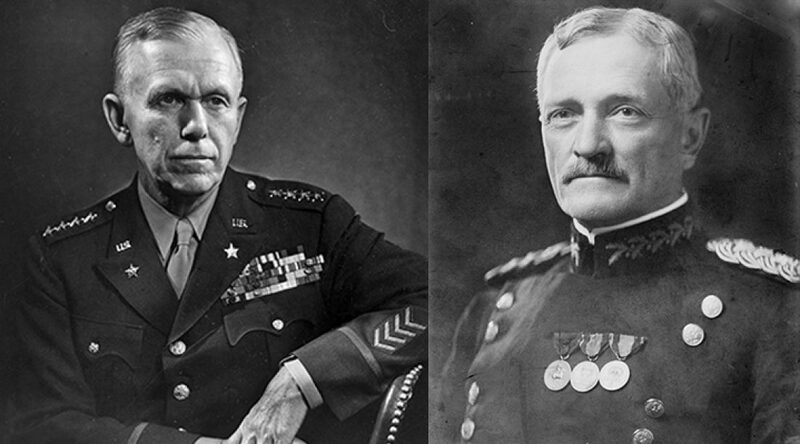 Pershing was the elder statesman of the military coming out of World War I. Marshall was young but would eventually rise to similar stature during World War II. Marshall’s biographer writes: “Pershing had found an officer who would tell him the truth rather than attempt to gloss inadequacies. Marshall said, “General Pershing held no griefs at all. He might be very firm at the time, but if you convinced him, that was the end of that. He accepted that and you went ahead.” Two great men, two great leaders. One greatly influenced by the other. Marshall went on to become the second most influential American, next to Franklin D. Roosevelt, in determining the outcome of World War II. He was highly regarded, but popular history of the war has assigned greater glory to other men, primarily those he mentored, whose names are more widely known: Eisenhower, Patton and MacArthur. To his dying day, Marshall was referred to with great respect by these men and everyone else who knew him as “The General.” (Taken from “General of the Army: George C. Marshall”, by Ed Cray). Addendum: Marshall received the Nobel Peace Prize for devising the “Marshall Plan” which provided post-war funds for reconstructing Europe. As leaders, we are in spiritual conflict constantly if we understand the nature of our work correctly. Therefore, we need to become strong in our leadership. 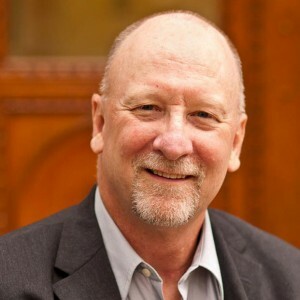 The ability to accept criticism is essential if we want to be effective in our shepherding and leading ministry. It certainly comes with the territory. However, greatness comes not just from weathering criticism, but using it for good. General Pershing learned this secret and encouraged frank, honest, constructive feedback—even if it meant he was wrong and needed to change. Marshall’s humbleness is noteworthy, as well. He never put himself forward, though he rose steadily in power. When President Roosevelt needed to appoint a supreme commander for the Allied forces, he turned to Marshall who by then was the Chairman of the Joint Chiefs of Staff. Roosevelt was torn, as his biographer points out for he wanted Marshall’s personal and reassuring presence in Washington, but also knew that it would be an insult to the man if he appointed anyone else. So, the president left it for Marshall to decide. It was his for the taking. However, Marshall would not even hint at putting himself forward, feeling this to be a consummate impropriety. Instead, he recommended Dwight D. Eisenhower for the job. Popular history went on to give greater accolades to Eisenhower as the hero of the war. Yet many would argue that Marshall was the true military greatness behind the war. Personal glory was not his goal. The Allies won the war! In the spiritual realm, humbleness may mean that we do not get the accolades or attention that others receive. However, our goal as leaders must never be for our own personal advancement. Someone has well said, “There is no limit to what can be done for God if you don’t care who gets the credit.” Happy is the elder who promotes the work of God in others and resists the temptation to gather glory for himself. Editorial Note: This article was first published in the March 2005 edition of Elders’ Shopnotes. It is used here with permission.